Was Jeremiah Speaking of You? 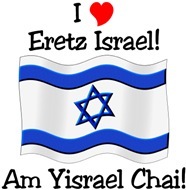 Are you a lover of Israel? That is to say, are you among the growing number of Bible-believing, Zionist Christians who feel curiously and irresistibly drawn to the Land of Israel… to the Jewish people… and to the Feasts and Customs of Israel? If you relate to these feelings, then discover the Biblical reason for it! It will amaze you and fill you with joy! PLEASE READ ON SO THAT YOU MIGHT RECOGNIZE YOUR TRUE IDENTITY! 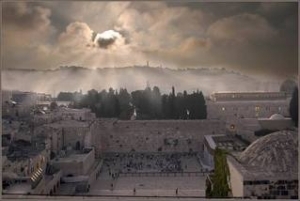 FOR THERE EXISTS A DIVIDED ISRAEL AT THE MOMENT; BUT NEVERTHELESS, READ ON ABOUT ITS SOON RESTORATION AND REUNIFICATION. 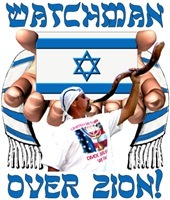 MOREOVER, READ ON ABOUT THE EXTREMELY IMPORTANT ROLE THAT YOU, THE ZIONIST CHRISTIAN, WILL PLAY IN THESE EVENTS!!! This is what Jeremiah said about YOU! How do the underlined words in the above verse of Scripture relate to you? I think you’ll be utterly amazed once you’ve discovered the secret… please read on. 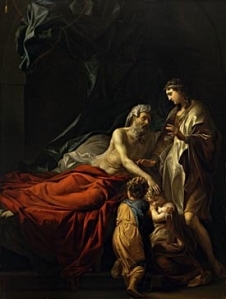 Let us consider for a moment that in chapter 48 of the book of Genesis, the patriarch, Jacob/Israel, is seen blessing his two grandchildren. These grandchildren are the sons of Yoseph ben Yaacov [Joseph the son of Jacob], and these children were called Manasseh and Ephraim. Joseph was not Jacob’s firstborn. Nevertheless, he was the son who received the bekhor (right of the firstborn) from his father Jacob- just as Isaac had received it in place of Ismael (i.e., by election). This, therefore, meant that upon his father Jacob’s death Joseph would inherit the place of authority- as head of the clan. It also meant that he would receive a ‘double portion’ as regards to the material inheritance regarding the land of promise. Finally, it also included a special blessing called ‘the blessing of the firstborn’ which confirmed his headship and pronounced a special blessing for ‘fruitfulness’ upon him [e.g. Gen. 27: 28-29; 49:22-26]. This “Firstborn blessing” was always imparted to the ‘bekhor’ with the use of the right hand. Therefore, when the time came, Joseph naturally assumed that his father (Jacob/Israel) would place his right hand upon the head of Manasseh- Joseph’s firstborn son- in order to impart the special blessing of the bekhor upon him. However, that was not to be the case. “AND ISRAEL STRETCHED OUT HIS RIGHT HAND, AND LAID IT UPON EPHRAIM’S HEAD, WHO WAS THE YOUNGER, AND HIS LEFT HAND UPON MANASSEH’S HEAD, GUIDING HIS HANDS WITTINGLY; FOR MANASSEH WAS THE FIRSTBORN. AND HE BLESSED JOSEPH, AND SAID, ELOHIM, BEFORE WHOM MY FATHERS ABRAHAM AND ISAAC DID WALK, THE ELOHIM WHICH FED ME ALL MY LIFE UNTO THIS DAY, THE ANGEL WHICH REDEEMED ME FROM ALL EVIL, BLESS THE LADS; AND LET MY NAME BE CALLED ON THEM, AND THE NAME OF MY FATHERS ABRAHAM AND ISAAC; AND LET THEM GROW [Strong’s #1711 ‘dagah’- to spawn as teeming schools of fish] INTO A MULTITUDE IN THE MIDST OF THE EARTH. Ephraim’s name actually meant ‘doubly fruitful’. He was to become Joseph’s ‘fruitful bough’ [Gen.49:22] which is by a well [Isa.12:3] whose branches run over the wall [i.e., beyond its borders]. The Scriptures relate that Ephraim’s descendants went on to become the head of what later became known as the Ten Northern Tribes of Israel [or the Kingdom of Israel] as separate from the Kingdom of Judah to the south. I (YHWH) have surely heard Ephraim bemoaning himself thus; Thou hast chastised me, and I was chastised, as a bullock unaccustomed to the yoke: turn thou me, and I shall be turned, for thou art YHWH my Elohim. It is clear to me that the Zionist Christian/Hebraic Roots movements are literally the corporate awakening of the House of Ephraim, and the beginnings of their ‘shuva’/return to the ancient paths of their Hebraic, Biblical roots. This was confirmed to me in relation to the Jeremiah 31:6 prophecy when I discovered an old copy of a book entitled ‘The Pentateuch & Haftorahs’; edited by Dr. J.H. Hertz, C.H. This man, Dr. Hertz, was once the Chief Rabbi of the British Empire; moreover, this was the second edition of a work which he had edited and which the Jewish publishing house, Soncino Press of London, England subsequently published in 1960. While thumbing through the book one day, I came across the above verses from Jeremiah- and more. 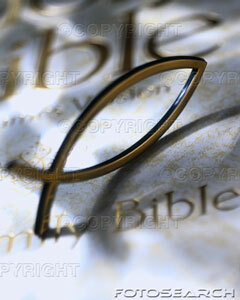 In fact, on pages 956-957 of this work, I found the whole passage- Jeremiah 31; verses 2 through 20. It was printed in Hebrew with English translation; and it had some very interesting commentary; but it was a few basic points which caught my eye. Did you catch that?!….. “They [Ephraim] will find favour in God’s eyes.” This was clearly prophesied; and yet, to the modern Israeli/Jewish people the ‘House of Ephraim’ (the Northern Kingdom of Israel) were dispersed and lost to them- swallowed up among the Gentile nations long long ago [Hosea 8:8]. Son of man, thy brethren, [even] thy brethren, the men of thy kindred, and all the house of Israel wholly, [are] they unto whom the inhabitants of Jerusalem have said, Get you far from YHWH: unto us is this land given in possession. The Soncino Press- a Jewish commentary- confirms that those who ‘found grace in the wilderness’ were those of the Northern Kingdom of Israel/Ephraim! 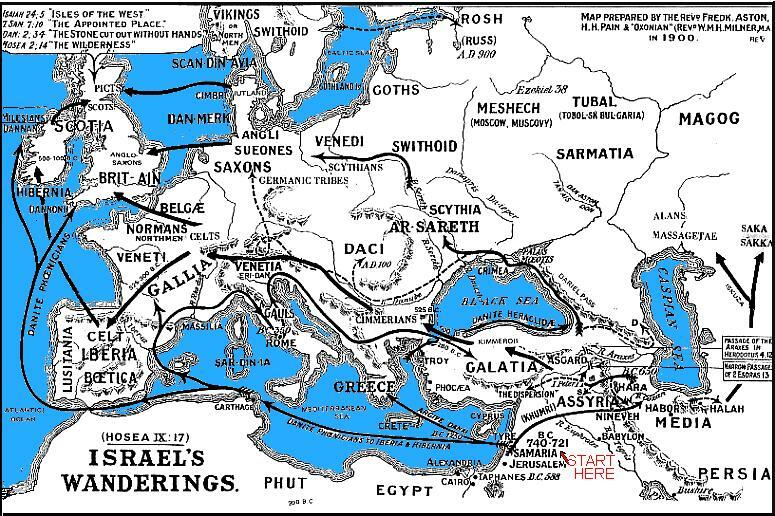 The Ten Tribes scattered into ALL the earth (Amos 9:9). Above, we see a great portion of that dispersal. “As regards the ten tribes [the Northern kingdom (Israel/Ephraim] there is this truth… that, as their persistent apostacy from the God of Israel and His worship had cut them off from his people, so the fulfilment of the Divine promises to them in the latter days would imply, as it were, a second birth to make them once more Israel.” (Book I, Vol. I, Chapter I; page 15). “Second birth”?….. That is, as in ‘born again’! 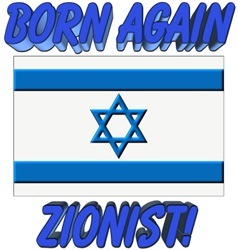 Are you aware, dear Zionist Christian, that even as Joseph’s son, Ephraim, was to become “the fullness of the nations” [see Jay Green Interlinear Bible… Gen. 48:19] that, so too, this same exact expression was used by the Apostle Paul when referring to ‘born again’ believers who would be grafted into the Olive Tree of Israel in the latter days?! 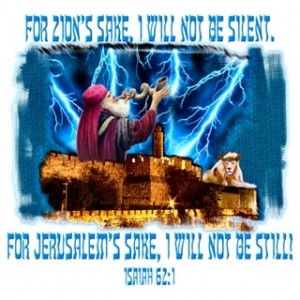 This begs the following question: If the Zionist Christians are related to the ‘fulness of the Gentiles’ then what exactly is it that they must come into in order for All Israel to be saved??? Answer: They must come into the knowledge of their true identity as repentant, blood washed, Spirit-filled, regenerated, renewed, transformed, Torah-loving, red hot ISRAELITE, Ephraimites!… capable of provoking Judah to jealousy; and then ALL ISRAEL shall be saved!!! Therefore, going back to my original text in Jeremiah 31, I’d like you to also know, dear Zionist Christians, who are praying and interceding for Israel as ‘Watchmen’: that in Jeremiah 31:6 the Hebrew word for ‘watchmen’ is the word “Notzrim”– as it is found in the Masoretic text of the Hebrew Scriptures. This is the exact Hebrew word used by modern-day Israelis when referring to CHRISTIANS; or to those of the CHRISTIAN faith!!! AND I WILL MAKE THEM ONE NATION IN THE LAND UPON THE MOUNTAINS OF ISRAEL: AND ONE KING SHALL BE KING TO THEM ALL: AND THEY SHALL BE NO MORE TWO NATIONS [JUDAH & EPHRAIM], NEITHER SHALL THEY BE DIVIDED INTO TWO KINGDOMS [JUDAISM & CHRISTIANITY] ANY MORE AT ALL…” “…AND DAVID MY SERVANT SHALL BE KING OVER THEM; AND THEY ALL SHALL HAVE ONE SHEPHERD…” (Ezekiel 37:21-22,24).